Select a product to see current stock levels. 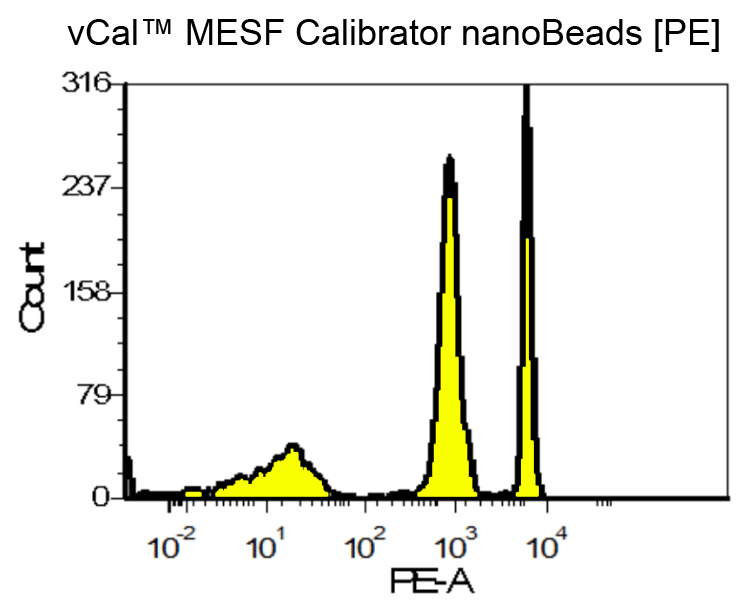 vCal™ MESF Calibrator nanoBeads are surface dyed beads calibrated against fluorescence of solutions of known concentration of the same fluorophore. Each product contains 3 populations of beads with increasing amounts of the specified fluorophore. 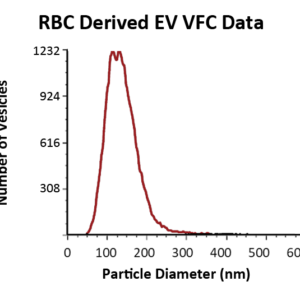 MESF beads are necessary to achieve quantitative immunofluorescence of EV surface cargo which should be performed to ensure EV cargo data is comparable across time and labs and also to understand limit of detection for an instrument in a particular channel to interpret negative events when running samples. The 800nm size is suitable for detection on flow cytometers with lower scatter sensitivity allowing assessment of an instrument’s sensitivity in a given channel independent of scatter performance. 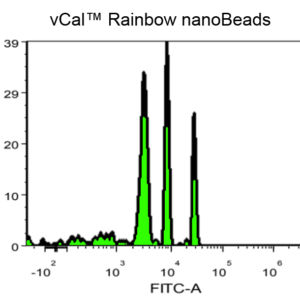 Fluorescence intensities these beads are in a relevant range for vesicle immunostaining and consequently much dimmer than other commercial products. Fluorophore : PE. Others coming soon. Bead Population(s): 3 populations. See COA for MESF units calculated for each population. Concentration: 1×107 beads per ml. Buffer: 0.1um filtered PBS +0.09% sodium azide. Storage Conditions: Store at 4C. Minimize temperature cycling when handling (e.g. when using beads, keep the tube in the refrigerator as much as possible). Get occassional product updates and info on the EV research field. 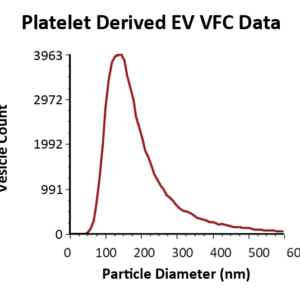 Our standards are counted and characterized using a proprietary assay that specifically and accurately counts, sizes, and phenotypes vesicles (learn more). The data is cross-validated with widely used approaches such as Nanotracking Analysis (NTA) and Resistive Pulse Sensing (RPS). NTA and RPS count all particles (aggregates, cell debris, other non-vesicular material) and as such provide inaccurate, often inflated, vesicle concentrations. These technologies are inherently limited in their ability to specifically count vesicles. Standards sold by other manufacturers are limited by these technologies and sold in ug quantities with estimates of vesicle numbers. 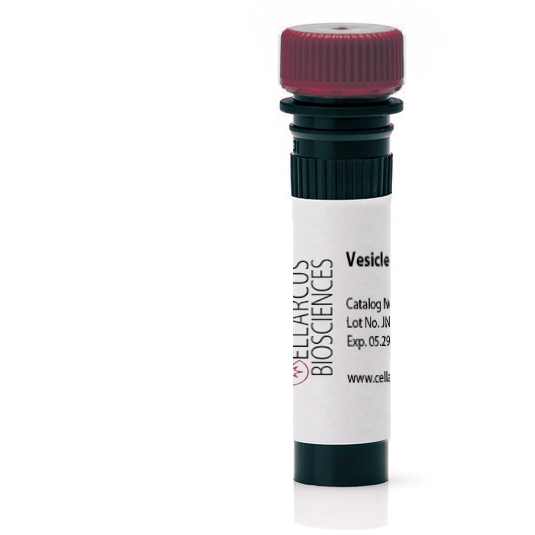 Our standards do not need to be sold as vesicle estimates based on total µg of protein. All of our standards are packaged based on our proprietary, highly accurate and reproducible vesicle counts. 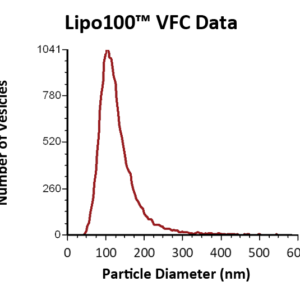 They are titrated into an optimal concentration for common assays expressed in vesicles per µl. The number of tests is based on the amount of standard required for a flow cytometric approach to vesicle analysis. Other techniques may require additional sample volume which will reduce the number of tests per vial.